Toll Roads in Sydney guide from Travelwheels Campervan Hire Sydney! Most people looking for campervan hire in Australia will start from Sydney. Unfortunately it is also the capital for Toll Roads in Australia! There are loads of Toll Roads in Sydney and they are now all cashless! They all use electronic E-tags and now none of these will accept cash! First of all if you have an “E Tag”, then the Toll Roads in Sydney is easy for you. All you have to do is travel in the “E” lanes when you approach the Toll Roads in Sydney. The e-tag is read with a censor and your Toll Roads in Sydney account is automatically debited. These tags can be purchased through several websites (www.roamexpress.com.au AND www.tollpay.com.au) and can be used on any Toll Roads in Sydney or across Australia. 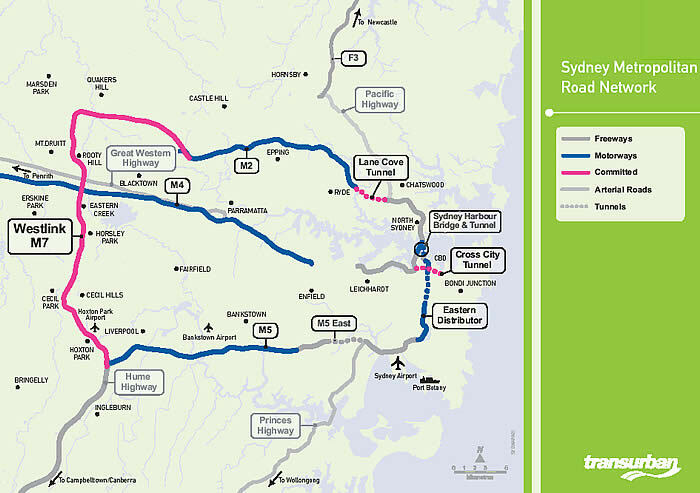 If you are a visitor to the country, then you have two options if you want to use any of the Toll Roads in Sydney. The first one is to set up a temporary pass such as www.myrta.com and www.roam.com.au to pay for your Toll Roads in Sydney. You will need a credit card and the registration number of the campervan hire australia vehicle. Then you can set up the pass for the number of days you are travelling. Problems with Toll Roads in Sydney & tourists! Most toll roads in Sydney now operates as a cashless pay system which is very different to what you find in most European countries. It is very easy to get confused when you hire a Travelwheels Campervan Hire Sydney Camper and use these Toll Roads in Sydney. It’s so easy to miss them and not pay and end up with a toll road fine by simply driving through a tToll Roads in Sydney! This is where the problems start for travellers to Australia who are on a campervan hire Sydney holiday! It now means it is possible to use the toll road without physically paying for it! You don’t even have to stop when passing through any of the Toll Roads in Sydney! Some of the signs are difficult to read and if you first language is not English it is very confusing for you. For example if you drive your travelwheels campervan hire vehicle through a toll road the campervan registration plate will be photographed. It is then the drivers responsibility to pay the toll within 48 hours or risk a fine from Australian government! None payment of Toll Roads in Sydney = big fines!! If you do not pay when you pass a Toll road by either phone or via the internet within 48 hours you will trigger off an automatic fine! For example any fines whilst you are driving your campervan are your responsibility sorry. If you get a Toll Roads in Sydney fine it will be send directly to the campervan hire company. The company will then have to go to a Justice of Peace and prove it was not driving the campervan at the time of the offense. It will then be transferred into your name. This is why there is a processing fee $75 for each fine to cover the legal costs of the fine transfer! Below is a photo of one of the Toll Roads in Sydney which takes a photo of your campervan hire number plate. Therefore it is important to remember to pay your Toll Roads in Sydney fee in less than 48 hours or you will get a fine! All the Toll Roads in Sydney now use the electronic pass system. Therefore this is why Travelwheels Campervan Hire Sydney suggest you open up an online account to make life easier for you. If you don’t open one of these Toll Roads accounts, it especially makes it harder to pay you toll immediately. This means you have to remember to call and not to forget to call them within 48 hours or risk being hit you with a fine! 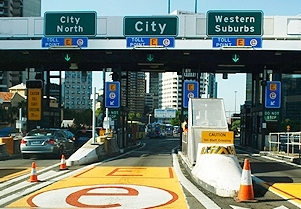 For more information about Toll Roads in Victoria for example you can visit www.citylink.com.au or call 13 26 29. For more information about Queensland Toll Roads you can check out www.linkt.com.au/brisbane or call 13 36 77. If you are unsure about Tolls in Sydney, then feel free to contact travelwheels campervan hire. We will be more than happy to help you and give you plenty of information about Toll Roads in Sydney. In the meantime why not email us at [email protected] Furthermore you can call our team on 0412 766 616. How about visiting us at our Sydney Campervan Hire Branch at 11-15 Clevedon Street, Botany, 2019, Sydney. Need help planning your Sydney campervan hire road trip? Now you have read our Toll Roads in Sydney guide, then how about booking a campervan and exploring Sydney? Travelwheels staff really know how to plan a campervan road trip starting from Sydney. Our head office is located in Sydney and we are hear to help. We can answer questions such as, when is the cheapest time of year to hire a campervan in Australia? Below is a list of some useful links to help plan your campervan hire road trip from Sydney. Sydney to Cairns roadtrip planner – detailed road trip guide with tips from our customer who have done this trip. Free Camping on East Coast of Australia – guide to free camping along the east coast of oz! Melbourne to Sydney road trip – very high customer reviews about this popular road trip by campervan. Wilsons Promontory – visit this amazing national park close to Melbourne! 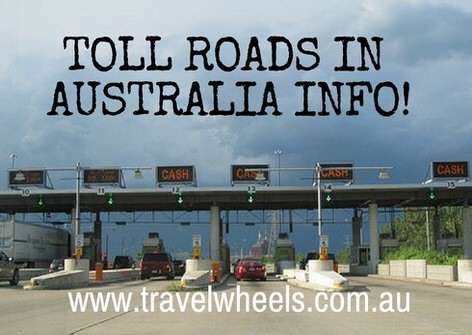 Toll roads in Australia – guide how to not get ripped off by toll road charges here in Australia! If you are a great deal on Campervan Hire Sydney specials then just enter your dates below. 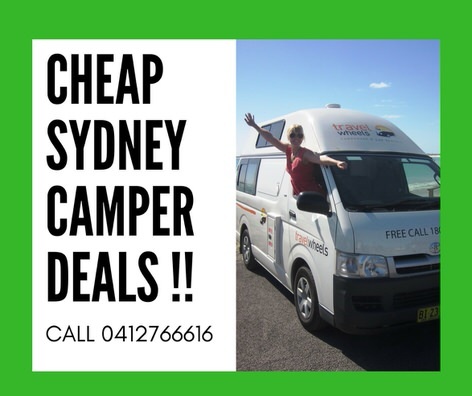 We offer unbeatable deals for Sydney Campervan Hire. Remember we offer a campervan hire price match guarantee! We will beat all competitor quotes for Sydney to Sydney campervan hire! We challenge you to find lower prices anywhere for trips starting and finishing in Sydney!